Indian PSLV-C37 carrier rocket successfully launched 104 satellites, five times more than the 20 launched into space in June 2016, the Indian Space Research Organisation (ISRO) said Wednesday. 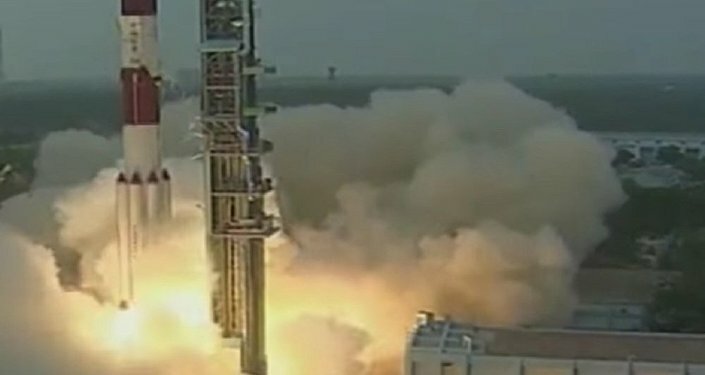 NEW DELHI (Sputnik) – The launch, which began at 09:28 local time (03:58 GMT) was streamed live by Indian broadcasters. The placement of the satellites into orbit started 17 minutes after the take-off. Afterward, the mission control center said that the mission had been successful. Indian Prime Minister Narendra Modi congratulated the space agency on the launch. "This remarkable feat by @isro is yet another proud moment for our space scientific community and the nation. India salutes our scientists," Modi wrote on his Twitter. 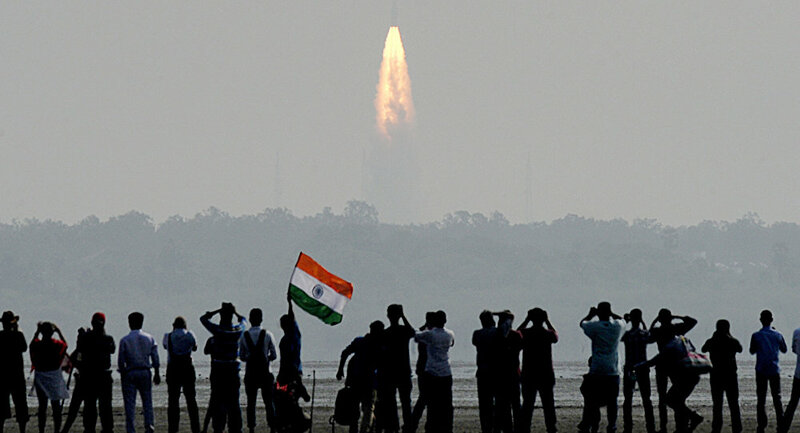 Indian President Pranab Mukherjee also wrote about the "landmark" achievement, which, according to him, "demonstrated, yet again, India’s increasing space capabilities." Before this launch, Russia held the record for the largest number of simultaneously launched satellites, after placing 37 of them into orbit in 2014. Earth observation Cartosat-2 satellite was the first to take off. This type of satellite usually serves five years. The rest of the cargo was comprised of nanosatellites, only two of which were Indian. The majority of smaller satellites belong to a US private sector company Planet Labs.